Today I’m weighing in on retreat discussion groups. There are a lot of options when it comes to retreat discussion groups and we’re going to look at a bunch! 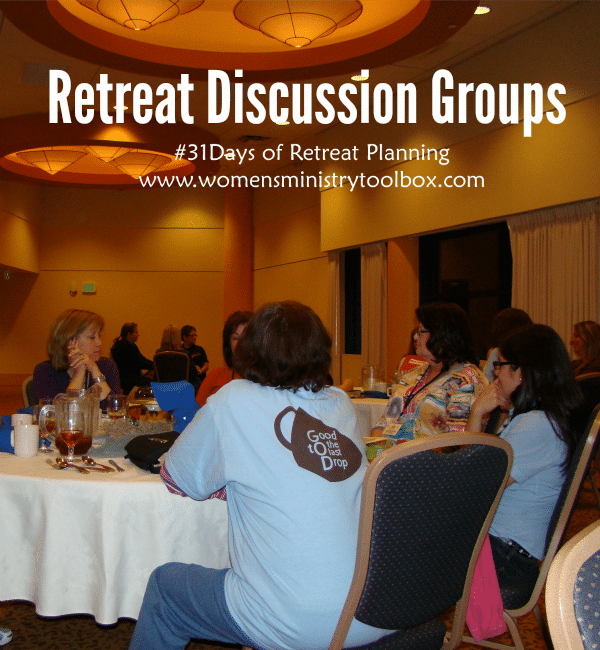 Discussion groups give your women the opportunity to go deeper with each other and discuss your retreat topic together. I’ve been on retreats that have utilized discussion groups and those that have not. You have to decide what is best for your group. Attendees pick their own groups. Open (aka fluid groups) all weekend long. Assigned groups all weekend long. 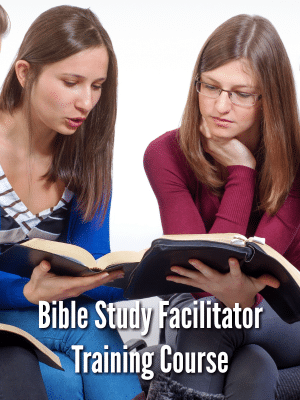 Assigned groups, but changing groups at every session. 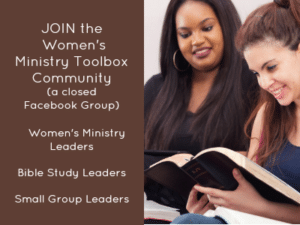 In our post-retreat meeting this month our group decided we need to assign our women to discussion groups at our next retreat. We found most of our women stayed with their friends. Now, I’ll be honest with you, we’re divided within our group about whether or not the groups should stay the same all weekend. Some of our team feels the groups should change every session so everyone gets to know more people. Others, myself included, feel that staying with the same group allows women time to open up and build trust within the group. The retreat I attended with another church in January had set groups for the weekend. Several women were quiet during our first group time, but were bolder in sharing by the end of the weekend. Our group was definitely closer because we’d spent so much time together. I connected with women I wouldn’t have otherwise. Your team will need to decide what is more important – building deeper relationships with a few or getting to know as many women as possible. Some of your women will share with everyone every time. Some of your women will never share. Some of your women need time to share. We all agreed that roommates should not be placed in the same discussion groups. They’ll have plenty of time together in their rooms at night and will often eat together. Pray and draw names from a bag before the retreat. Place stickers on every program. Distribute different colored cups, bags, etc. Whatever color they (or you) choose at check-in determines the group they’ll be in. Changing groups every session can be a bit of a logistical nightmare. I’ve tried to hash out a plan on paper to ensure no one is in the same group twice. I cannot figure it out. If one of you has a solution, would you please share it? If you choose to have discussion groups, please make sure you share some kind of code of conduct. See my Code of Conduct post for ideas. Often roommates to share details about their groups with each other without meaning to. Set a limit on each group’s size. Between 7 and 10 is usually a good number. Smaller groups make for better sharing. If you want honest, deep discussions you’ll need to place your groups in places where they feel no one else will hear what they are sharing. Depending upon your retreat location, you may have separate rooms you can send your groups out to. On one retreat we used a few of our own rooms – we had condos with living rooms. Staying at the tables in your meeting space can make it hard for women with hearing issues to hear. Background noises and voices from the surrounding tables can be a huge distraction. Keeping some groups in the room (but spread out) and sending other groups to nearby spaces works well. Just make sure you know where every group is meeting so you can go get them if they lose track of the time. 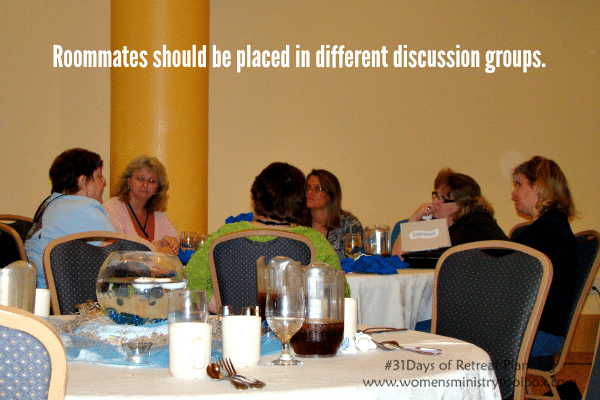 What has been your experience with discussion groups at retreats? What worked well with your group? What did not? Mary, great idea! So glad you shared it. 🙂 I am impressed that your women are willing to attend with and room with others they don’t know. 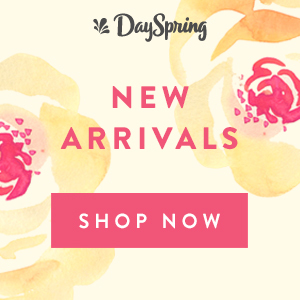 We have table leaders who know in advance what will be happening in the various group times. When the women arrive and check in, they have the opportunity to select a table by writing their name on a sheet of paper with 8-10 spaces for each group. That way, they have some say in the placement, but it’s still pretty random. In contrast with what you wrote above, we have never restricted roommates from sitting at the same table. Often, the roommates don’t even know each other well before the retreat. Thanks for this wonderful website. 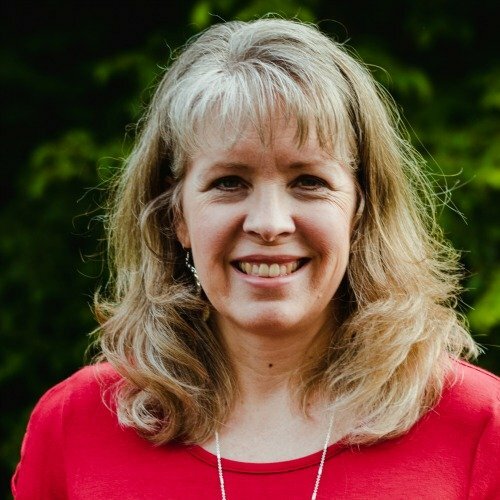 I have been planning retreats for over 30 years and love getting some fresh ideas!